There stand two small prefabricated buildings next to Kizunakan volunteer house and the Disaster Volunteer Center. 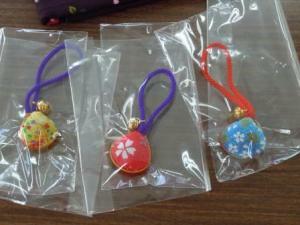 They are workplaces for “Kizuna Kobo”, a cooperative craft studio which opened on Dec. 12th, 2011 (Mon). The Kizuna Kobo was established with sponsorship from the Ministry of Health, Labor and Welfare, as a part of its Project for Rebuilding Kizuna (solidarity) in the Community, and is managed by the Shichigahama Social Welfare Council. Kizuna Kobo provides a place to visit and an opportunity to have a sense of fulfillment in life. The aim is to prevent social withdrawal, isolation and hypoactivity, or disuse syndrome, which have now become serious concerns among the residents in the temporary housing. People who had their houses totally or nearly destroyed by the earthquake and tsunami may register as members and work at the Kizuna Kobo. That includes not only the residents in the temporary housing but also the people who live away from their old neighborhood, in the apartments leased by the town or in the houses they bought after the earthquake. 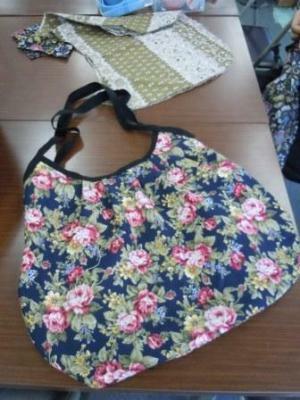 Twelve people had registered by the opening day and have started engaging in handicraft work. 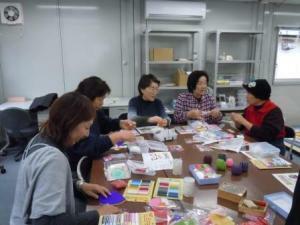 Kizuma Kobo is open from 10:00 to 15:00, Monday through Friday, for the members to engage in light work such as making handicrafts and woodworks. 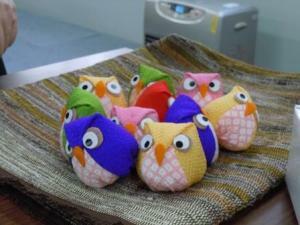 In the pre-opening event held on Dec. 7th, the Soroptimist International Nagoya offered a workshop to make little stuffed owls. Before beginning this first handicraft project, the organizer presented sewing kits to the participants. People who had moved away from Shichigahama were among the participants. 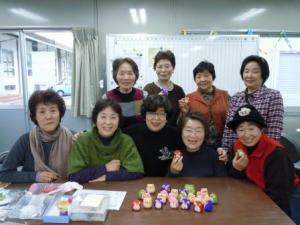 Members of Kizuna Kobo smiling with their handmade owls. I imagine somebody in a distant place picking up an item made in this Kizuna Kobo and thinking of Shichigahama. We hope this project will help create such a connection everywhere. I loved the photos of the handicrafts here, and as I looked at the people who created these beautiful crafts I saw such friendly smiles.... both in the lips and in the eyes of each of the group. 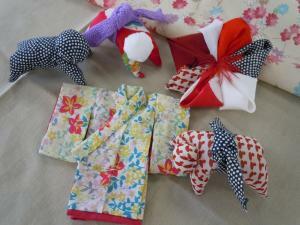 Crafts heal both the makers and the eventual owners, especially Japanese crafts. I hope this project gives the crafters a wonderful sense of community. I know the sense of community can bring great comfort, as great as the comfort that comes from being an accomplished artisan can be.